I truly must apologize for not having updated my blog for over 6 weeks. Unfortunately, sometime ‘real’ life gets in the way of things we normally do on a daily or weekly basis. On April 8th, one of my brothers took seriously ill and was admitted to the hospital. He and his wife live in Hawaii without any other family members close by. Within about 4 days it was evident to everyone in our family that someone needed to go and be with my sister in law, so she would not have to go through this alone. I decided on April 12 to fly to Hawaii. My sister in law and I were together every minute for the next 2 weeks, sitting vigil by my brother’s side. On April 23, my brother lost his battle and died. We took him home to California where all of our family lives. All in all, I spent four weeks with my sister in law and other family and did not have much access to a computer. It is amazing how circumstances such as this can change a person overnight. I know Gloria and I will be changed forever and I am sure that my other family feels the same way. 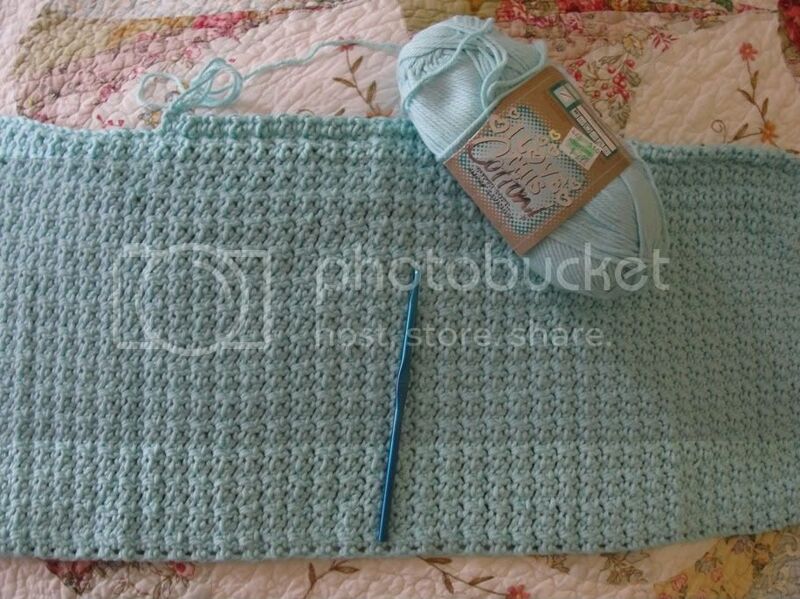 I am going to slowly try and pick up the pieces of my ‘crochet’ life, but please bear with me if it is slow going. On a more positive note, I wanted to try and relate all I have been through to my crochet blog. The most wonderful thing about crocheting (or knitting) is the incredible cathartic effect it can have on you when you are going through a crisis. Crocheting can slow you down and calm you, as you continually make each rhythmic stitch. It certainly did for me at times while I was in the hospital in Hawaii. Here is a photo of the cotton bathmat I worked on for my bathroom while I was in Hawaii. It comforts me to look at it and I hope to finish it soon! Even though I travelled to Hawaii under bad circumstances, I was still able to fall in love with Honolul, Waikiki, Hawaiian customs and all the wonderful Hawaiian people I was fortunate enough to meet. I hope to one day be able to post about my Aloha experience.